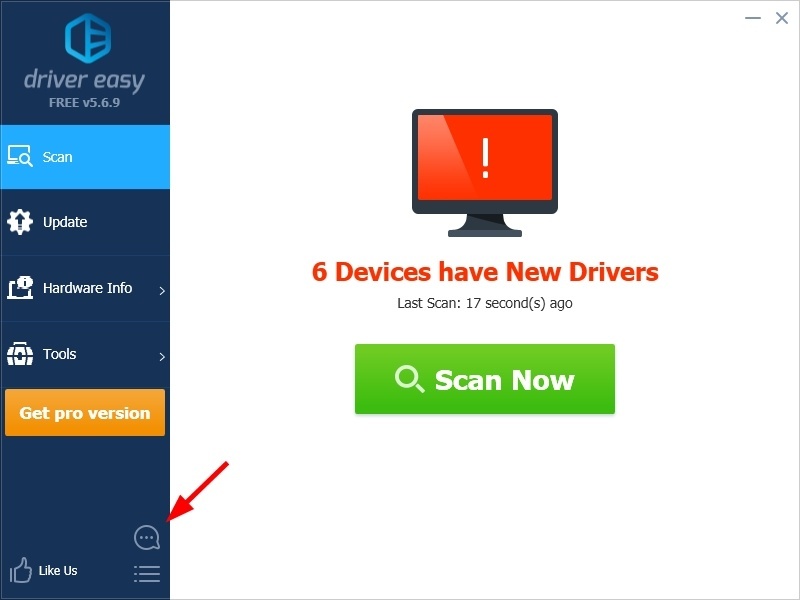 If your PC has a missing driver, and Driver Easy doesn’t detect it, let us know. If you’re right, we’ll give you a FREE, 1-year license for Driver Easy Professional, as a thank-you! And, of course, we’ll update Driver Easy to include the driver we missed. Report more than one missed driver, and you get a free year for each! Just follow the instructions below, and once we’ve verified that the driver’s missing, we’ll send you your license key. Usually within two working days. b) Scan result page in the product that detects the missed driver. 2) Compress all the screenshots into a zip file. 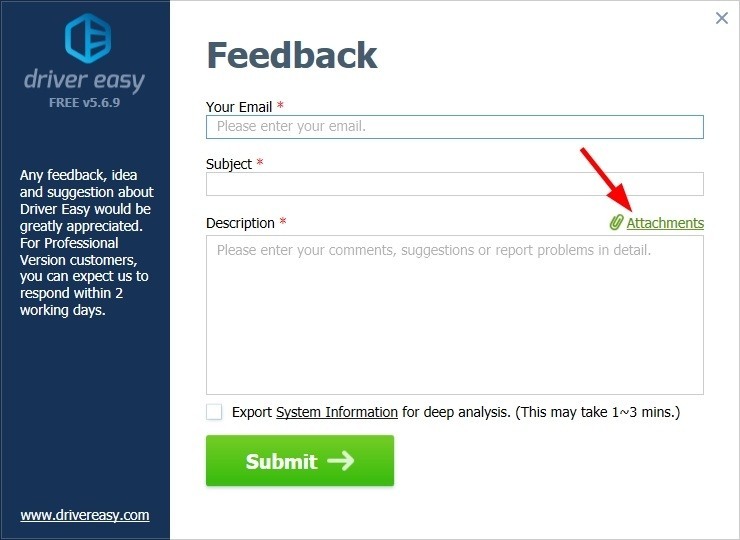 3) On your Driver Easy program, click the Feedback icon. 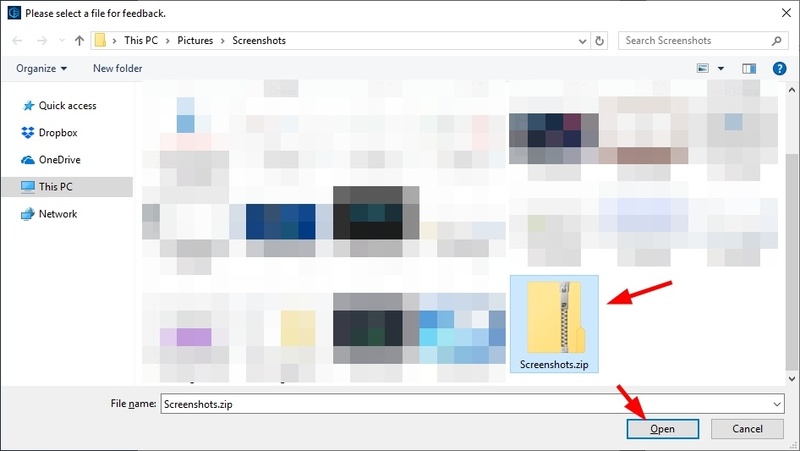 5) Select the zip file of your screenshots, then click Open. 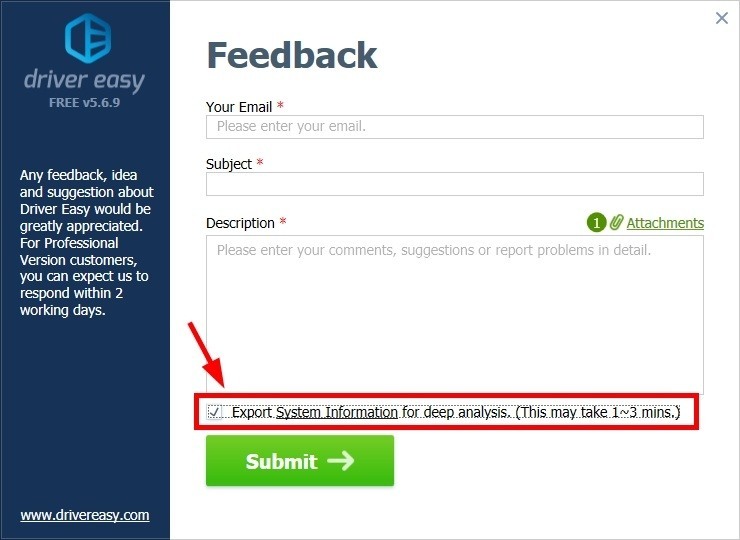 7) Fill out the form, then click Submit. 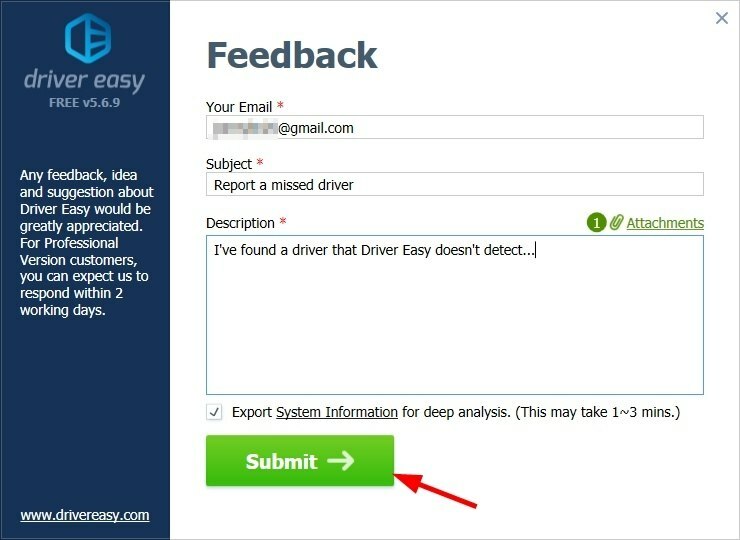 Please send an email to support@drivereasy.com if you have any other questions. We’d love to hear from you.